Upon going to university, I’ve found that it’s incredibly difficult to find time to read. I mean, I have time to read, but when the rest of my flatmates are embroiled in discussion about gender identity, it’s kind of hard to stay in my room catching up on the October new releases. After 3 weeks, so mostly spending time with these guys, I think I can justify pulling out of a Marvel marathon to catch up on some much needed reading and reviewing – I have missed it after all. Unfortunately, I’m rather disappointed that The Potion Diaries was the first book I decided to dedicate my precious free time to. The idea of a Princess poisoning herself with a love potion and ends up falling in love with her reflection sounds like a great story, where Samantha – the main – would probably be played by Anne Hathaway in the movie version, which would have exactly the same tone as Ella Enchanted. The problem was that all of the potion-based extravaganza was based in a 21st century context, where teens were snapping selfies and going to university. It was a strange setting, one that’s probably something similar to what the world would’ve been like if Muggles were allowed to know about the Wizarding World in Harry Potter. Let’s just say that magic is a lot more enticing when it’s kept under wraps. The mish-mash of contemporary and medieval features didn’t sit right and really drew attention to the bizarness of the story. 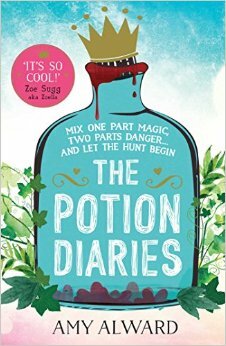 Perhaps The Potion Diaries would’ve been a lot better had Alward picked one and stuck to it. The concept of the Hunt for the potion ingredients mimicked the trials of Fire and Flood by Victoria Scott, but all together the challenges to find certain ingredients were too short and in some occasions even felt rushed. In fact The Potion Diaries plot could’ve been the idea behind the next season of the CBBC classic Raven: The Way Of The Warrior. So, we have medieval potions, 2015 technology and early 2000s game shows all meshed into one. I had no problems with the characters of the writing style, they were fun and upbeat and made for a quick read – exactly what I was looking for in my first foray back into YA at university, but still, I had so many problems with the plot as a whole that I struggled to enjoy what I’m sure were the many appealing qualities this book could boast. Also, don’t get me started on the fact that Zoella’s blurb for this book is on the front cover and Sarah J. Maas’s on the back. 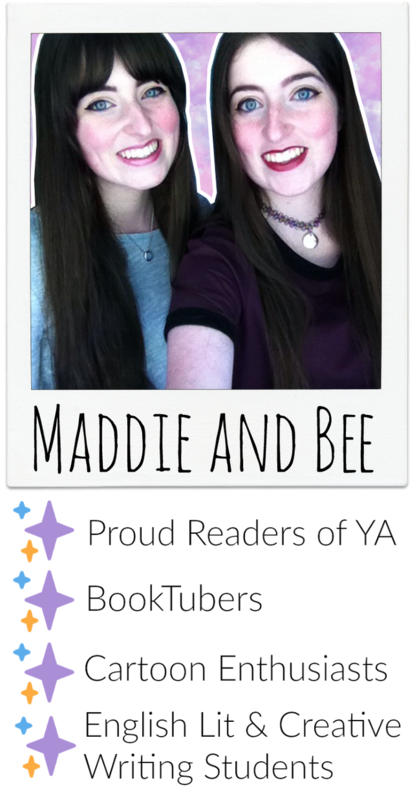 Overall I gave The Potion Diaries 2 stars because it was trying to do too many things, and maybe was intended for a slightly younger target audience, as it definitely felt more like Middle Grade than YA.